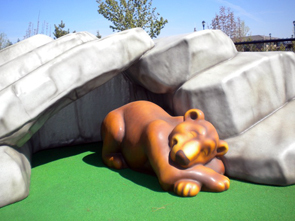 Here's a playground that engages all your senses. 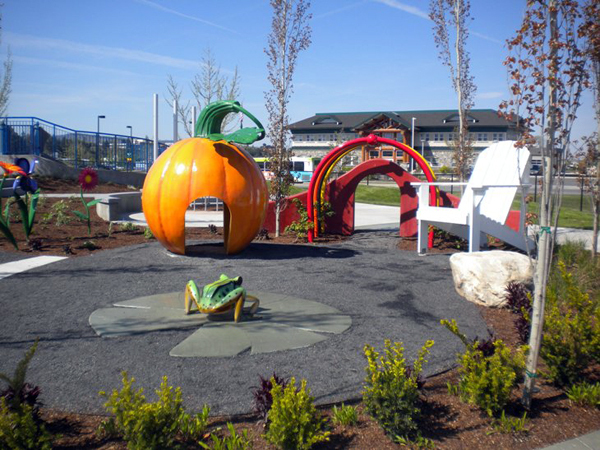 Textured surfaces beckon curious hands, wind chimes jangle, vibrant colors gleam, and herb gardens invite children to hone their senses of smell and taste. 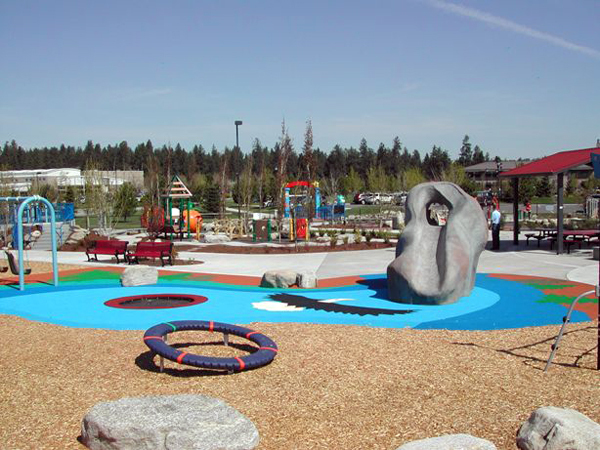 The 1.5-acre Discovery Playground, which opened in May 2010 in Spokane Valley, Wash., was designed to be an inclusive and accessible space for people with a wide range of physical and developmental abilities. 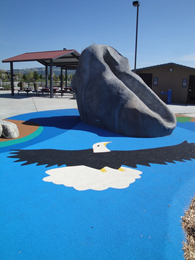 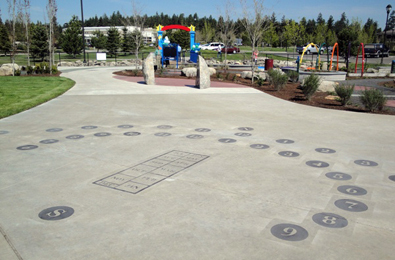 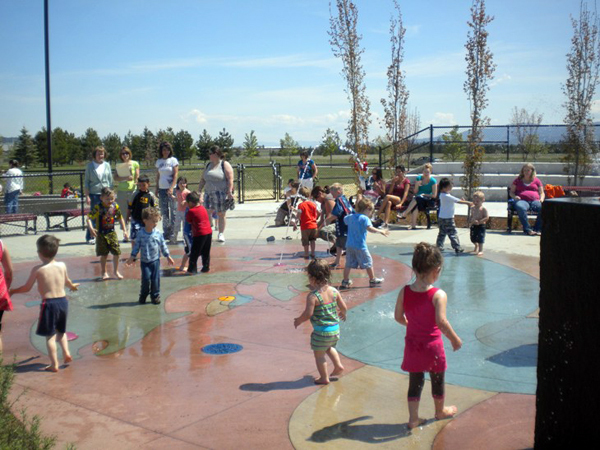 Playground elements reflect the region’s geography, geology, and local plants, animals and fossils. 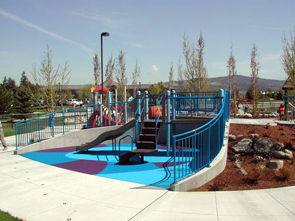 Photos courtesy of DCI Engineers and Design Concepts CLA, Inc, which provided civil engineering and landscape design (respectively) for the site.